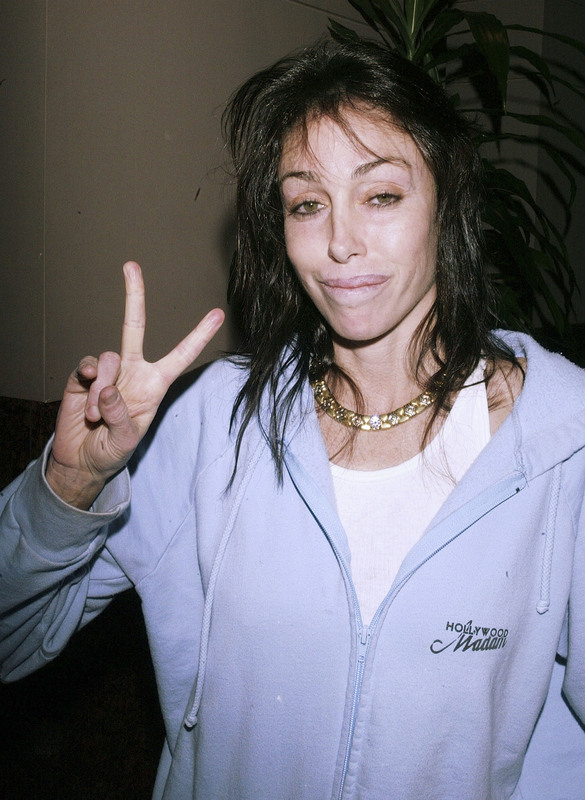 Heidi Fleiss: brothel madam, owner of exotic parrots, unlicensed pot grower. It's quite a resume for the former madam, who has worked all these unbelievably sleazy jobs in the past 20 years. But, in her latest escapade, she was caught with nearly 400 marijuana plants spread throughout her backyard. The Nevada police were lucky to nab Fleiss while searching for a suspect in a completely unrelated crime — authorities spotted a pot plant nearby and subsequently redirected their efforts, busting one of the most infamous Nevada residents in recent history in her house full of parrots. That's right: Once, Fleiss rubbed elbows with the rich and famous (albeit not in your average way) and now she... raises parrots. And really, really loves them, like they are her creepy, feathered children. But please imagine the scene these unwitting police stumbled in on, complete with dialogue. Policeman 1: Is this the right house? Policeman 2: Yeah, think so. Policeman 1: HEY, OPEN UP IN THERE. Policeman 2: Pete, I don't think anyone is home. Policeman 1: George, they've gotta be in there! I just know it! I'm going to peek over the back fence and see if I can see anything. *Policeman 2 checks phone while Policeman 1 takes a walk. At the sound of wings flapping he goes round the house to find Policeman 1 staring over the fence in shock"
Policeman 1: You have got to see this George. Policeman 2: Well, what is it? Policeman 1: It's an empty yard... filled with parrots... and marijuana plants. Policeman 2: So we need to get in there! This just became a drug bust! Policeman 1: I guess but... look at all the parrots... so... colorful. In a way, I'm kind of jealous of those policemen — it would've been surreal to go to Fleiss' house and wrest a confession from her in a room full of squawking, pissed off parrots and loads and loads of weed plants. But I'll have to save that dream for another day. In the meantime, we can laugh about the fact that, apparently, Fleiss' extensive parrot collection actually prevented her from getting arrested. Crazy bird lady/drug kingpin: 1. Everyone else: 0.